Elias Lindholm made sure he got the last laugh in his return to Carolina. Lindholm made his first appearance in Raleigh since the Hurricanes traded the 24-year-old in a blockbuster deal this Summer. 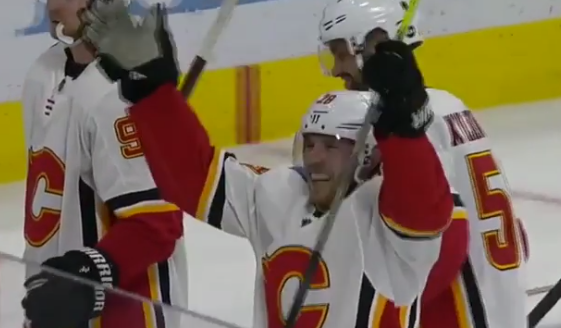 The talented Calgary Flames center was met with some boos. Lindholm took them in stride, finishing the game with a goal. He also mocked the Hurricanes ‘Skol’ celebration. Lindholm mocking the Canes post-game celebrations is petty, but he was getting booed even though he didn’t force his way out of Carolina. They traded him. He didn’t deserve to hear that. Lindholm was thrilled to score and get the W against his former team, so he added a little parting shot. Was it unnecessary? Sure. But, Lindholm probably felt really good doing it.